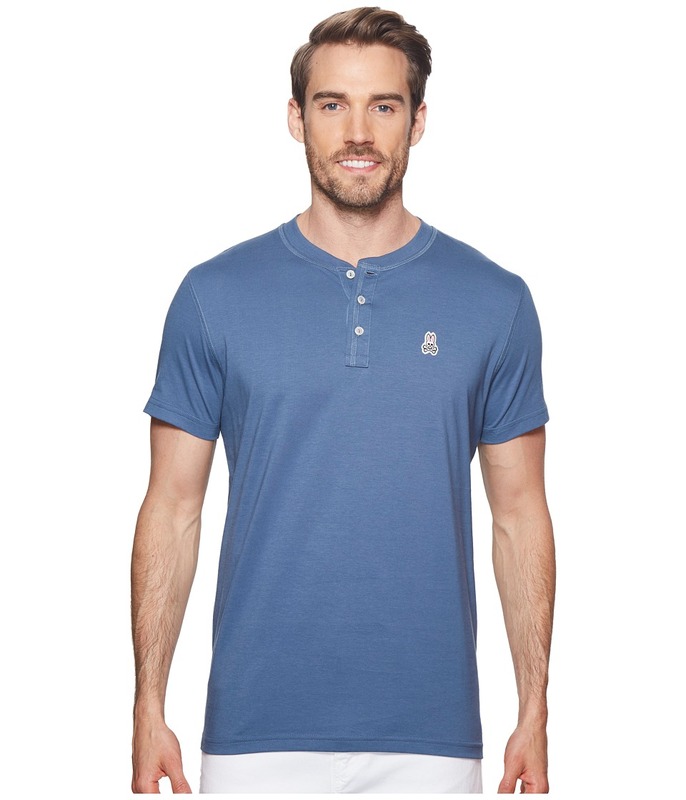 For a look that~s as versatile as your social calendar, look no further than the Psycho Bunny Henley Shirt. Trim, but not slim! This tailored true-to-size fit shirt sits close to the body for a flattering finish without the pinch and uncomfortable snug. This weekend-ready henley tee is crafted from a superbly soft, lightweight Pima jersey. Crew neck and a tagless collar. Three-button placket front. Iconic Bunny applique at left chest. Short-sleeve design. Straight hemline. 100 percent Pima cotton. Machine wash, hang dry. Made in Peru. Measurements: Length: 28 in Product measurements were taken using size MD. Please note that measurements may vary by size.